We treat both acute and chronic pain conditions by reducing inflammation, stimulating tissue repair, and supporting the healing response of the body with our Class IV Laser. Our laser therapy provides fast relief and accelerates your healing time – you can experience FAST PAIN RELIEF as early as your first treatment. The Class IV Laser works by increasing cellular oxygenation which promotes the healing response by creating a biostimulatory response deep in the affected tissues. Pain, swelling, bruising, inflammation and tissue damage is quickly addressed in acute injuries and mobilization, range of motion, and stiffness is relieved in chronic conditions. 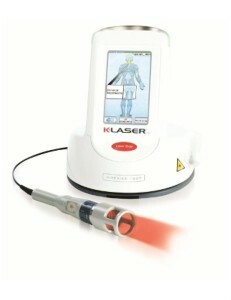 Even lifetime long term conditions respond to Class IV Laser Therapy.